Constant development is necessary for growth and success. This is especially true in the business world, in which sectors, conditions, and trends are fast-paced and ever changing. Every individual business entity has to keep up or be toppled down. All these considerations are within the realm of a business analyst’s job. Business analysts work under or for companies. They are responsible for overseeing the network of overall market trends with specific company conditions, policies, and goals. 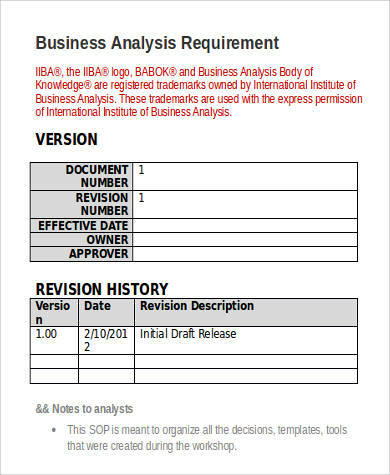 Upon an analysis of all these factors, business analysts will then recommend to a company measures that could be incorporated for continued growth and success. 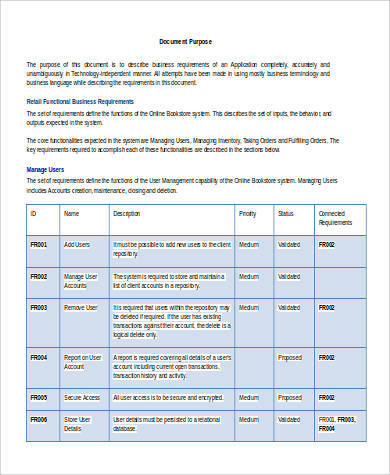 These recommended measures for improvement are embodied in BRDs or business requirement documents. These belong to the staple industry files that every organization works with. 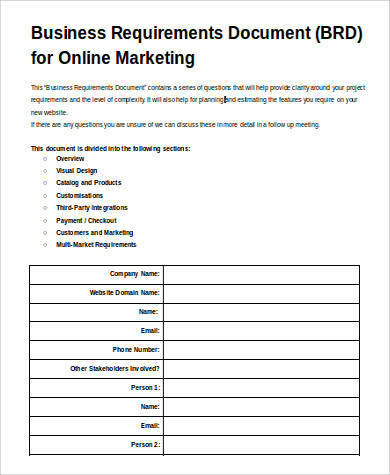 For all these standard papers, see these Business Document Samples. Read more of BRDs below. A goal of every corporation is to consistently be able to deliver to its utmost the best performance, the best function, and the best products and services. Keeping abreast of growth and development is inherent to this pursuit, and companies are thus constantly introducing new systems and means in an effort to grasp the goal better. Companies will always go through new sets of requirements in an effort to have continued success. Otherwise, it will stand stagnant or may even collapse altogether. Introduced company measures are contained in BRDs or business requirement documents. 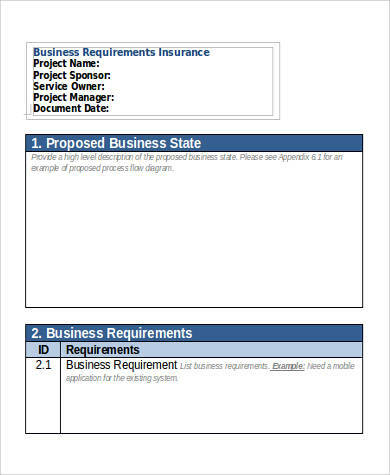 Business requirement documents are rooted from a comany’s mission, vision, and objective statements. 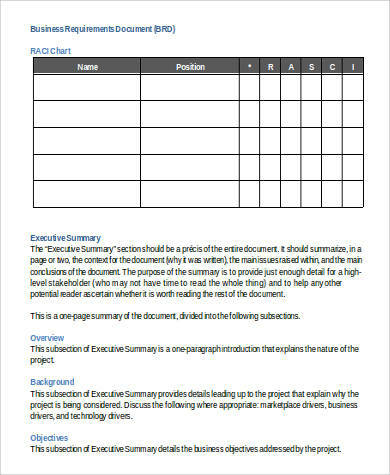 Every disseminated copy or set contains plans and projects that aim to better company conditions and performance. For the documentation to be used for business ventures, see these Sample Business Investment Agreements. 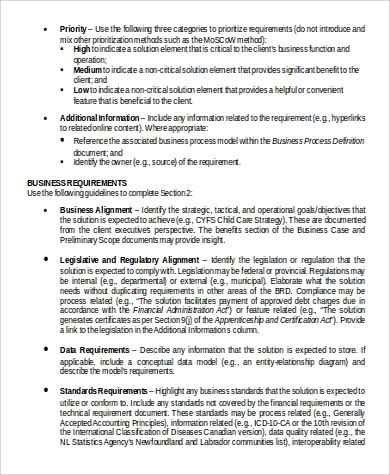 Business analysts write, tailor, and polish business requirement documents. However, a collaborative, system-wide creation of BRDs is always employed. 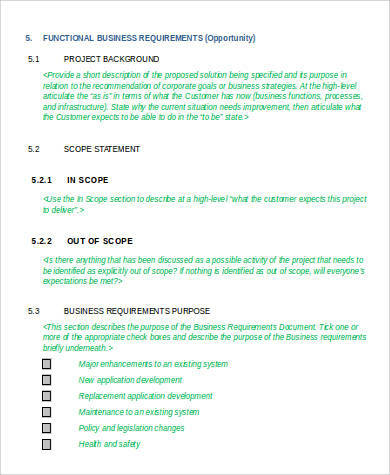 Following the completion of market studies and company assessments, business analysts draw input and feedback from company members, and work with project specialists and researchers. All in all, there is a brainstorming character to BRDs from all the involved individuals. 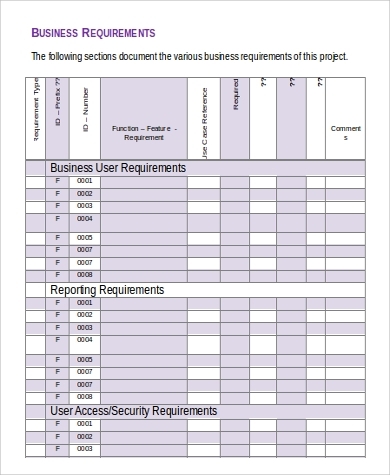 Business requirement documents are therefore heavy on data, research, and facts. Be guided with these samples. 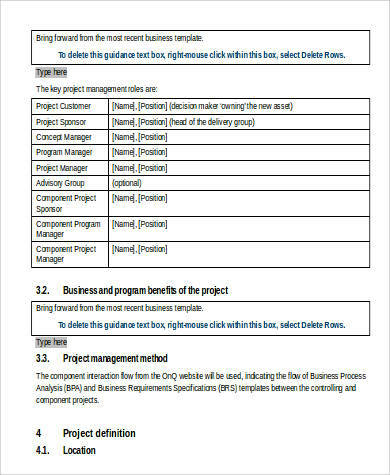 Always make the content and the elements of BRDs according to the specific business project. The document that contains the overarching process outlined for the success of the organization is called a business plan. 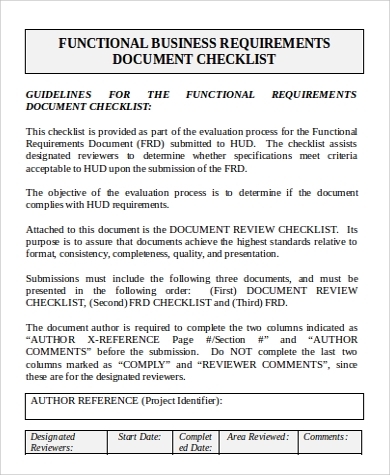 For content and formatting guidelines, see these Business Plan Samples.